Wishes ❤️ – App for your Wishes! WISHES * Dreams Come True! How to make your Wishes come true? How to positive change your life? You will learn the WISHES RULES and you will define your goal. Then you will ORDER your goal like a real order. In your GRATITUDE DIARY you can write down positive things and events. As a result, you are boosting and attracting the positive in your life. What you send out, you will attract back. Every day you will receive your very personal wise words from the WISE OWL. 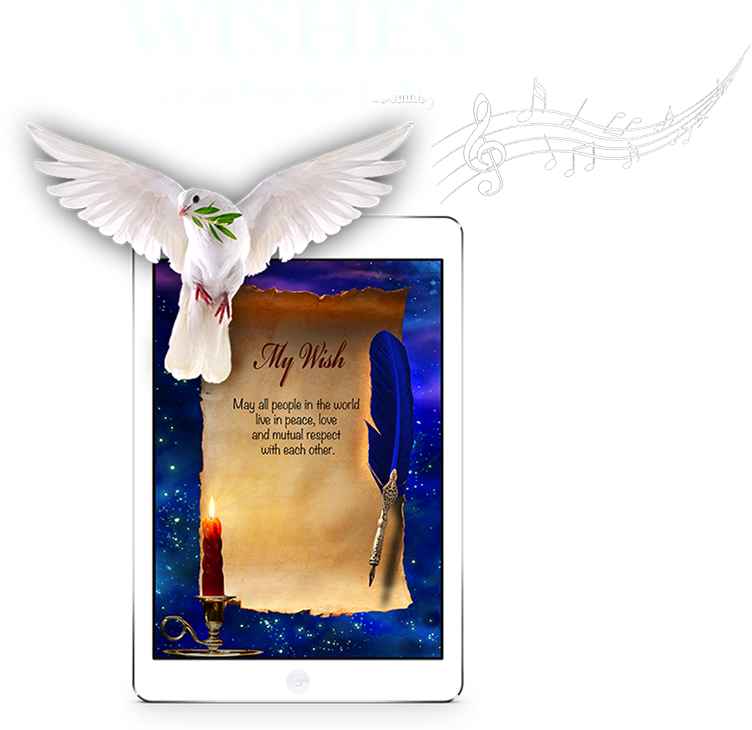 And, in the THE HANDBOOK FOR FULFILLING WISHES you will find the essence of the mystic masters’ secrets and some ideas how to apply it in the app WISHES. Try this app and send along with us your first wish – the wish for World Peace!